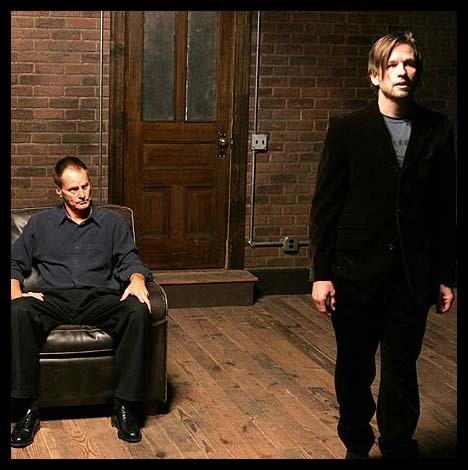 Sam Shepard and Dallas Roberts will star in the Caryl Churchill cloning drama A NUMBER, opening Off-Broadway at New York Theatre Workshop Dec. 7, 2004. James MacDonald directs the staging of the new 70-minute Churchill which began previews Nov. 16 at the NYTW's East Village venue for a run through Jan. 16, 2005. The play is about a son who discovers that he is one of a number of clones produced by his father. Michael Gambon played the patriarch opposite Daniel Craig as three of a score of his multiple sons in the world premiere of the work at London's Royal Court Theatre. 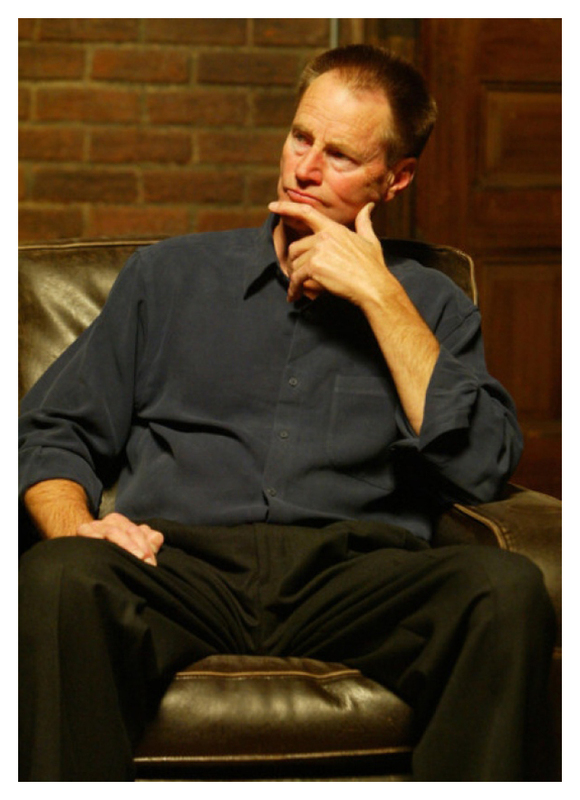 Actor-director Shepard is known in theatre mainly as a playwright for such works as TRUE WEST and his Pulitzer Prize winner BURIED CHILD. The Churchill work will mark the actor's return to the stage after a 30 year absence. "I love Sam’s work and I’ve directed three of Sam’s plays, so it’s a pleasure and a privilege to work with the man himself. He's absolutely brilliant with language. He has a writer's ear for it and a musical ear as well. It's a tricky, intricate text, and he's learnt it with absolute fidelity and accuracy. His taste as an actor is towards minimalism, which is exactly right for the piece. It doesn't need a lot of external huffing and puffing. Just do the thing as simply as you can with the greatest truth you can muster." Sam first read the script while filming STEALTH in Australia in February of 2005. He says, "I sat down and read it in one sitting and it absolutely blew me away. It's a short play, but I couldn't believe how powerful it was. It's a major, major contemporary play. I think it will go down as a classic." When he heard about a New York production of the play, he became interested only to find out that the role had been offered to Nick Nolte. "People have been trying to get me to be in plays for 30 years, and the first time I said yes, I had to wait for Nick to turn it down (laughing)." 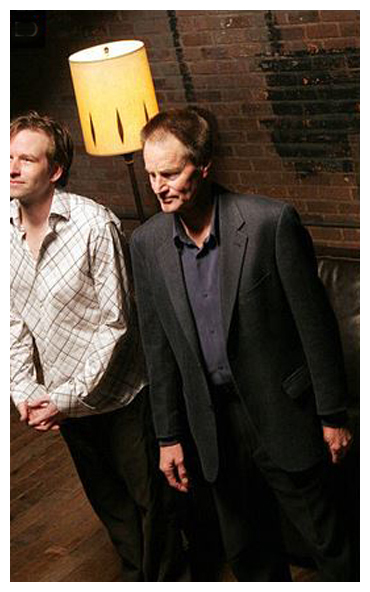 The last time he tried acting onstage was in 1971 when after just one performance of COWBODY MOUTH, he left. At the time, he said, "The thing was too emotionally packed. I suddenly realized I didn't want to exhibit myself like that, playing my life onstage. It was like being in an aquarium." But in 2005 he felt differently, "You really earn your spurs acting onstage. I needed to do that for myself. I would hate to say at the end of everything that I never did a stage play." Sam had often done literary readings for large audiences but he admitted, "To stand up and read poetry or stories is one thing. To play a character like this is a different challenge. The character I'm playing is dealing with a terrible, terrible mistake he tried to correct, and in trying to correct it, he created an even worse disaster. On the surface he deals with anger, arrogance, denial. But underneath he's haunted by guilt and remorse. Underneath the language is this tremendous emotional base that you have to be vulnerable to. You have to listen very closely. You have to follow the veins and the rivers and the creeks and everything the language is leading you to. Every once in a while, it just erupts." Synopsis: A Number is a penetrating inquiry into the intersection of morality, nature versus nurture, and human cloning. Sam plays Salter, the father who must look at the faces of his ethically questionable actions. He had his child cloned and three of these identical siblings appear during the course of this 65-minute piece, but the audience is told there may be twenty or so more. Salter claims to be outraged by this duplication. 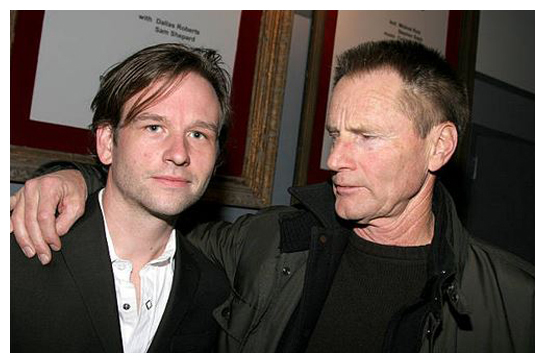 The boys, now grown into young men, are all played by Dallas Roberts. He manages to distinguish between the three, Bernard, Bernard, and Michael, through simple costume changes, different footwear, careful accents, and unique physical presentations. The result is an intriguing puzzle with no real answer. The bulk of the play shifts from dialogues between the father and one of his sons. The primary strength of Churchill's plays is her elliptical use of language. Very little a character says can be taken at face value, for it is liable to be modified or even contradicted, either in the same scene, or by action soon therafter. She shares the "theatre of menace" with recent Nobel laureate Harold Pinter, but her worldview has a more fantastic element, where time is much more malleable and meaning more poetic. Mr. Shepard - who as a dramatist considers societal disintegration from his own, very different point of view - turns out to be an ideal interpreter of Ms. Churchill's disjunctive prose. Her fragmented dialogue flows from him like blood from an opened vein. That his manner is as low key as always does not mean that he does not register every iota of Salter's stricken defensiveness. And his haggard leading-man good looks here convey the impression of a bewildered burnt-out case. Mr. Roberts, whose face melts between slyness and raw openness, is excellent in two of his incarnations... Power, passivity, horror and satisfaction are all conveyed simply by the ways Mr. Shepard and Mr. Roberts sit, stand and lie. Any moment, frozen out of context, is a classic image of the gulf - and the possibility of a bridge - between two generations. When these moments are connected, though, the same images bleed into an anything-but-classic portrait that portends a scary, brave new family for which the rules have yet to be written." Fascinatingly written, in twisty, crisscrossing, unfinished sentences, A NUMBER hides its information in tiny nuggets of fact hedged about by deceits and evasions, giving us as little sense of the world around Salter and his sons as of his motives in generating them. All the ethical and moral issues involved in cloning are touched on, lightly, but never seem to be at the core of the gnomic event. That's the enigma of the father-son connection, underscored by James MacDonald's production, in a nearly bare semicircle at the bottom of a steeply raked, curving makeshift auditorium that makes the actors look like battling bantams in a cockpit, seen from above. 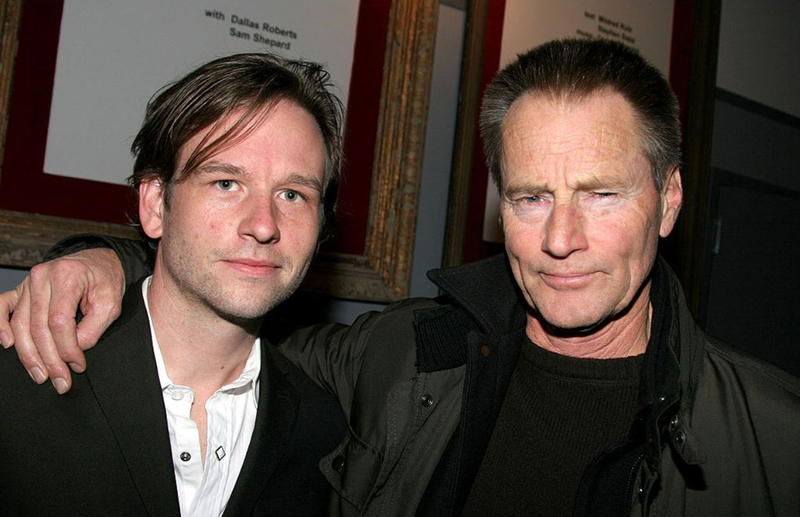 Dallas Roberts gives a skillful account of the multiple sons, and Sam Shepard, looking infuriatingly handsome and healthy, is just the actor you want for maximum taciturnity." Shepard, an actor who's the very image of the weather-beaten American Westerner of few words, has a distinctly different persona from the British Michael Gambon who originally played the father who is faced with the aftermath of his replacing one son with a genetically engineered copy. He fits the American version of the enigmatic father who must in the course of the mere hour it takes for this disturbing drama to unfold show himself to be unfeeling, defensive and wracked by pain and guilt. He is convincingly understated, but it's Dallas Roberts' showcase performance that brings home the key point of this Beckettian drama... A NUMBER is a powerful enough play not to need any shock and awe staging conceits. Like Far Away, it's a disturbing rather than entertaining theatrical experience that will have you mulling over its implications long after Shepard and Roberts have taken their well-deserved bows. Eugene Lee's minimal set turns the entire auditorium into a medical theater where we sit watching Churchill and her actors dissect their subject. The director, James Macdonald, gets intense performances from Sam Shepard, his lined, forlorn Gary Cooper features clenched in an attitude of bafflement and remorse, and from Dallas Roberts, playing all the sons with the kind of variety that suggests even clones have value--that whatever our genetic inheritance, we are all of us discrete, unknowable individuals. The cat-and-mouse game between the father and his sons is deftly played out with deceptively casual ease by Shepard and Roberts under James MacDonald's precise and clear direction. Roberts has the showier assignment and makes the most of it... Shepard has the tougher task... Speaking in a clipped, dry-as-bone voice, Shepard keeps Salter on a tight emotional leash for most of the play...I suspect that MacDonald encouraged the slight un-balance in performance styles to emphasize this questioning. It is a credit to both performers that they are willing to de-stabilize the theatrical atmosphere with their work to serve this unique piece. 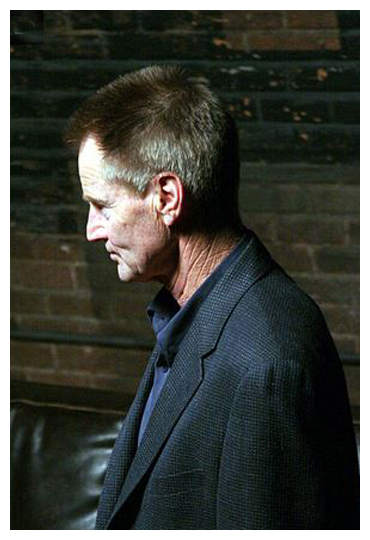 Sam Shepard returns to stage acting after a 30-year absence—an exciting event in its own right—as Salter. It is not a flashy role and Shepard plays this complicated and flawed man with the stillness and restraint of an expert poker player. Salter chews every secret before letting it go, and Shepard’s strong, sad presence as this failed father gives every one of Churchill’s poetically spare lines its proper weight. As the other half of this two-hander, it is Dallas Roberts who has the bravura role. A NUMBER has been one of the most anticipated plays of the season, and every aspect of this production meets and even exceeds these expectations. As her plays continue to get leaner, more graceful and always on target, Churchill continues to prove that she has few contemporaries that can be considered to be writing at her level. See this if you can. Shepard, who is making his first appearance on the New York stage in 30 years, brings a muted tension and a compelling sense of caged desperation to his role as the guilt-ridden Salter. (Shepard leaves the play on January 16. He will be replaced by Arliss Howard). The three sons are quirkily differentiated by Dallas, an excellent actor who brings an entirely different but complimentary energy to the play. 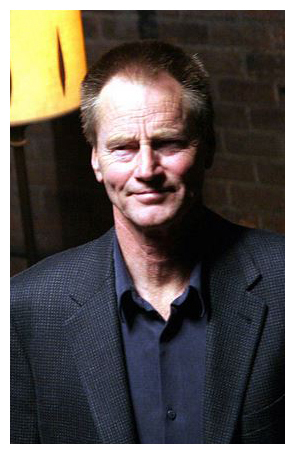 The box office draw here is playwright-actor Sam Shepard as the father. Shepard's granite-hard good looks belie the man's despair, 'his realization that an experiment, in which only one copy of his son was to have been made, has multiplied into many more (though we only see two). Shepard captures this grief with a quiet, almost apologetic intensity. Yet, the play, which MacDonald has directed with precision, is about more than cloning. It also deals with the question of human identity and responsibility. Shepard seems well cast as the father, if only because he does nothing to ease the tension. He sits stolid, largely unresponsive, enigmatic as the various sons wrestle with the nature of their identities. Shepard makes a welcome return to the stage after some 30 years, giving an assured performance and reminding us how long it's been since any director has put his terse talents to their full use. Salter's initial idea of an apology is a vague assurance that somebody somewhere is going to get sued ("there's money to be made out of this"), but the deep sense of regret that slowly pervades his crew-cut exactitude lends him a tragic grandeur. The brothers jockeying furiously for dominance, the lapsed father, the laconic wit--all of these elements show a deep affinity with Shepard's own plays, and it is a testament to Churchill's and Macdonald's efforts that the presence of Shepard doesn't overshadow their own world view. The author has given us a work that is amusing to watch and frightening to contemplate. Shepard and Roberts are up to the acting task, and James Macdonald’s direction keeps everything crisply concentrated within a spare set that consists of a sofa, a lamp, a door and a large spotlight. 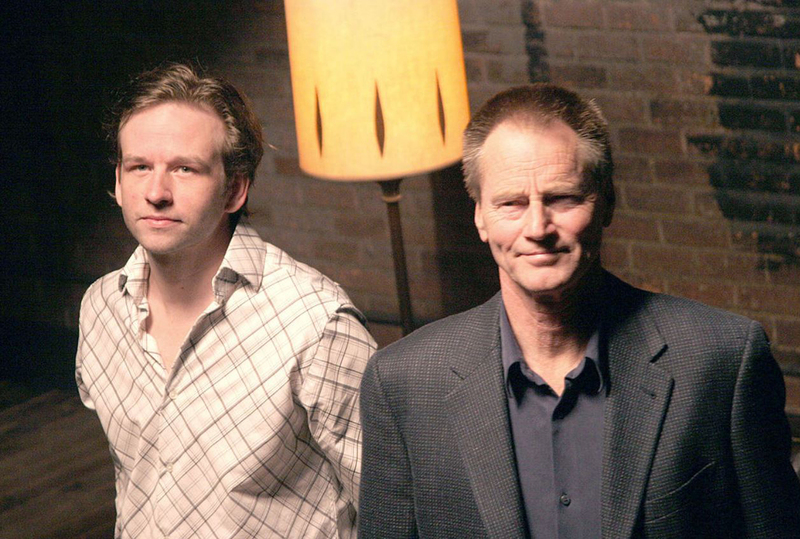 Dallas Roberts plays the three men prickly, offended and disconnectedly, depending on their various likes and dislikes even to dogs. 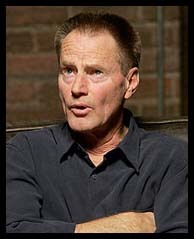 Sam Shepard lingers in your mind like the perturbed onlookers in us all who can't stop the inevitable. Worth seeing. As played by Shepard, Salter is quiet and withholding with both sons; love and affection are there, certainly, but also a reluctance to really communicate. Director James Macdonald has Shepard seated on a couch for almost the entire play, so it's a good thing that the actor is a captivating stage presence. Salter's unwillingness to move more than a few inches on the couch says volumes about just how close he is to the Bernards.....As the three variations of Salter's progeny, Dallas Roberts is terrific. 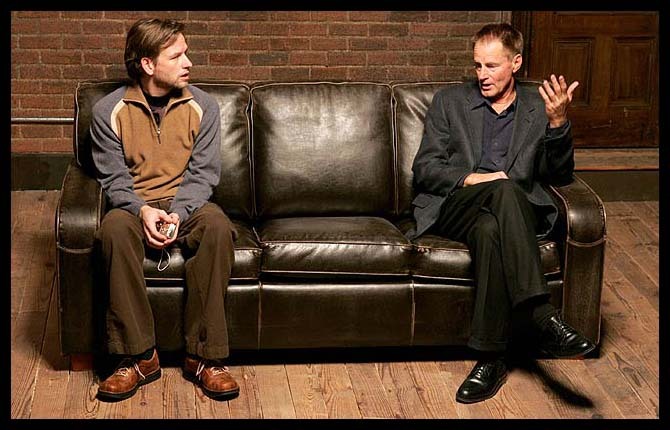 He makes each character distinctly different without resorting to caricature...The production is flawlessly paced; despite the fact that the characters spend so much time sitting on a couch, it never feels static. There's plenty of humor, too, as Churchill also explores the comic possibilities of the play's circumstances. A Number runs just over an hour, yet it's more satisfying than many plays twice its length.